Unhappy Norwegian Air customers have lodged a record number of complaints, both with the embattled airline and the Transport Complaints Board (Transportklagenemnda). More than 200 grievances have been registered with the board alone, as Norwegian’s new Boeing 787 Dreamliners continue to cause major issues. Most of the complaints involve problems experienced last autumn. Norwegian’s intercontinental service began last May to New York and Bangkok, but technical problems with the Dreamliners delayed their delivery. Norwegian was forced to lease old aircraft, and suffered a series of lengthy delays and flight cancellations. 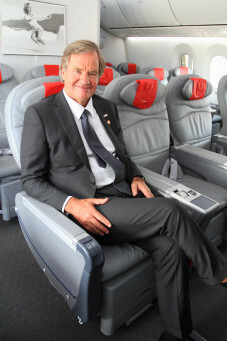 Norwegian’s problems didn’t end when it took delivery of its first three Dreamliners in August, September and November. Between May and September, 49 percent of its departures were delayed. The state broadcaster NRK reported Dreamliner problems cost Norwegian NOK 100 million (USD 16.2 million) in the third quarter of 2013 alone. The airline also had enormous problems over the Christmas/New Year period, with broken air conditioning on one long haul flight, hundreds affected by long delays and passengers left stranded in New York for almost three days. 2013 was a horror year for the airline, as Norwegian also faced issues with its airline license, “social dumping” accusations over its hiring of cheaper Thai staff, a threatened pilot strike and a push to ban the carrier by US airlines. Passengers can seek compensation of up to NOK 4,800 for delays of more than three hours on long haul flights. Norwegian told DN it has no record of the number of complaints it has received, and how many have succeeded. 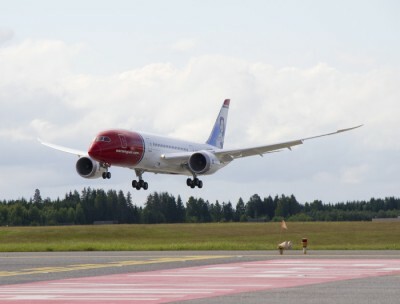 “The reason why 200 complaints have ended up at the tribunal is because of delays with their flights, due to what Norwegian describes as an extraordinary event according to EU regulations,” said Lasse Sandaker-Nilsen, Norwegian’s head of information. Boeing management traveled to Norway last September. On Monday Kjos held further crisis meetings with Boeing representatives in Washington DC, who acknowledged the Dreamliners haven’t performed as promised. Kjos said the discussions concerned better access to technicians and spare parts, as well as discussions over who foots the bill for the delays. He denied Norwegian’s flight schedule was too densely packed, exacerbating delay issues. “You can’t add to the network from the starting point that the planes won’t function as they should. They are built to fly a certain number of hours in a day, and it’s up to Boeing to make sure they do that,” Kjos countered. Norwegian is demanding both financial compensation and a discount on the remaining seven Dreamliners the airline has ordered. DN reported Boeing has reached undisclosed agreements with other disgruntled Dreamliner buyers, including Japanese airline ANA and Polish LOT. Norwegian has yet to receive any compensation from Boeing.